I'd not planned to visit any parks today, as I wanted to get a general feel for the MWSCAS conference ahead of my own presentation on Tuesday. However, a morning of electrical engineering papers caused my brain to shut down entirely, and I decided that the best way to recover from that was a change of scenery. There was nothing of particular interest in the schedule for the afternoon as it was, and for that reason I decided to head to the two small coaster credits in Cincinnati. The impromptu nature of my decision was if anything reinforced by the fact that I forgot to collect my camera from my room, an schoolboy error made worse by the fairly poor backup of my mobile phone. 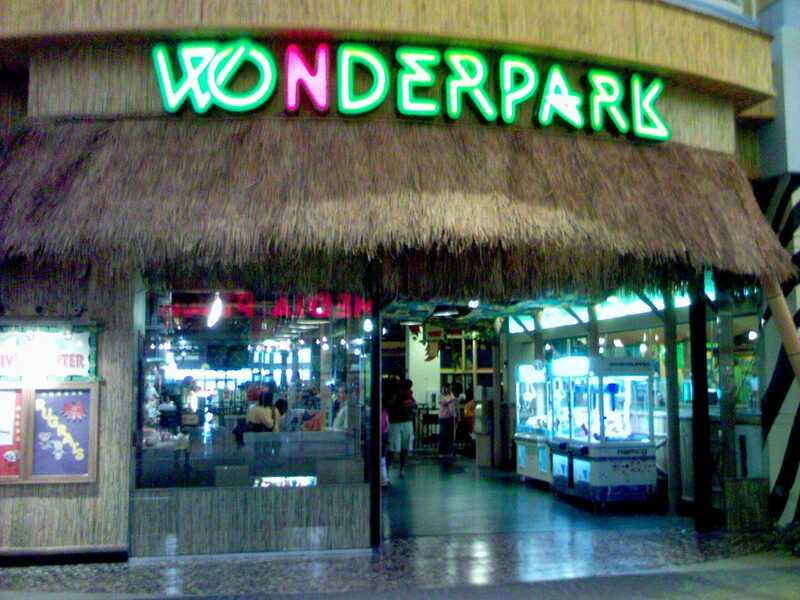 My first stop was at Wonderpark, a small family entertainment centre located within the Cincinnati Mills Mall some twenty miles from my conference hotel. There were plenty of people around, but perhaps unsurprisingly the vast majority of them were only there for shopping. The amusement area was not busy at all, and I was able to purchase a single ride ticket for the princely sum of two dollars. It's worth noting however that the actual cost for my visit was a multiple of that, given the embarrassingly poor fuel consumption of my rental Yank tank. Nobody else seemed inclined to ride the Boa Squeeze (#516), and thus I was treated to the entire train to myself. I'd half expected the bored-looking operator to comment on me being a little too big, but he scarcely batted an eyelid as I took a seat in the front car. He hit the dispatch button, then stepped over the track into the middle of the ride area, where he proceeded to bounce a ball off the wall until the train came to a final halt at the end of three laps. Coney Island comprises a moderately sized water park with a small collection of traditional rides. The water park was packed with people today, something hardly surprising on a glorious summer day. Fortunately for me however the ride area was for the most part deserted. As I was approaching the Pepsi Python (#517) I heard another guest comment that the ride was really rough. I was prepared for the worst as I took my seat in the front row, but I need not have worried; the train negotiated the rails reasonably well, with the only black marks being a pair of trim brakes that took away a lot of momentum. My second lap in the back row wasn't great, mind; there was a harsh impact at the base of the first drop, and a definite bounciness for the rest of the course. I considered exploring the rest of the park after disembarking, but I'd forgotten to apply sun cream, and thus I decided that it'd be more sensible to return to my car.